Good hair days- when you have them, it's easy to go without noticing. But when you DON'T have them, you will definitely notice because bad hair days affect us more than we know. That was when I knew I needed to do something to salvage the situation, so I started going to the hair salon more for hair trim and treatment, became more hardworking with applying my home hair mask, and used anti-hair fall shampoo. Those were the only things I knew that were able to help me fix my hair problem. 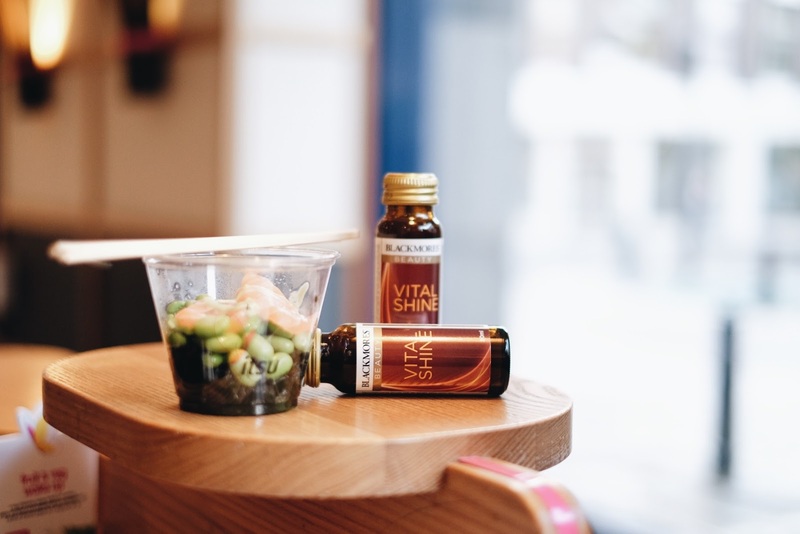 They did help to a certain extent to prevent my hair situation from worsening, but I realised that like everything else– our skin, nails, and health in general– true change has to come from within. Applying products and treating from the outside can help with maintenance, but if we want to truly create a change in our body, we need to look into what we consume. 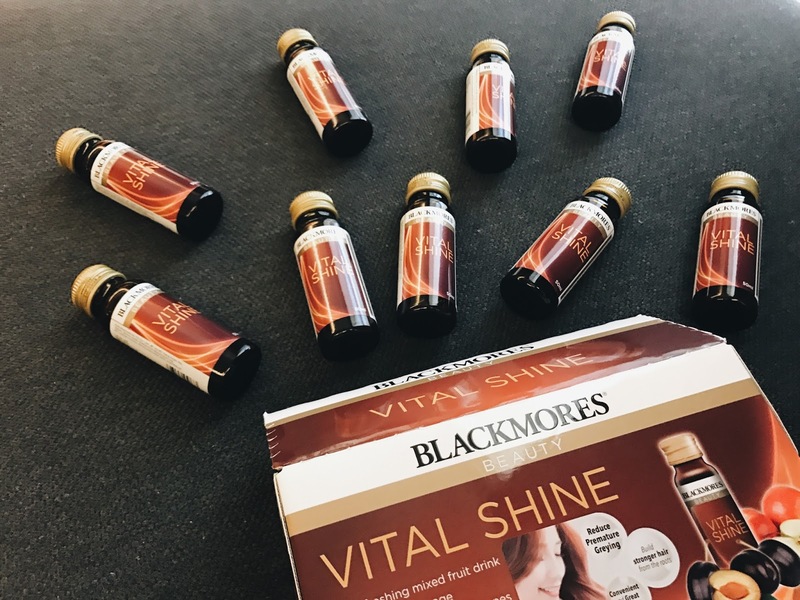 With that in mind, Blackmores has recently launched Vital Shine, the first hair tonic in the market which promotes healthy and strong hair, preventing hair greying and hair loss, and is made up of natural ingredients. Hair follicle cells experience high turnover, and they require a good supply of nutrients and energy. 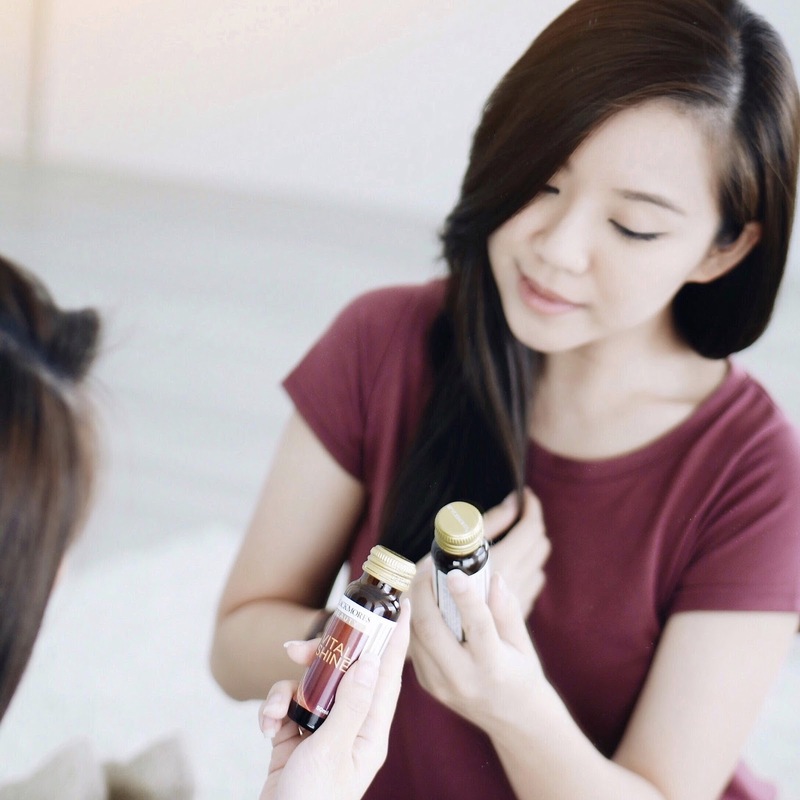 Lacking several components such as vitamins, minerals, protein and essential fatty acids may lead to structural abnormalities such as brittle and dry hair, pigmentation changes like hair greying, and hair loss. 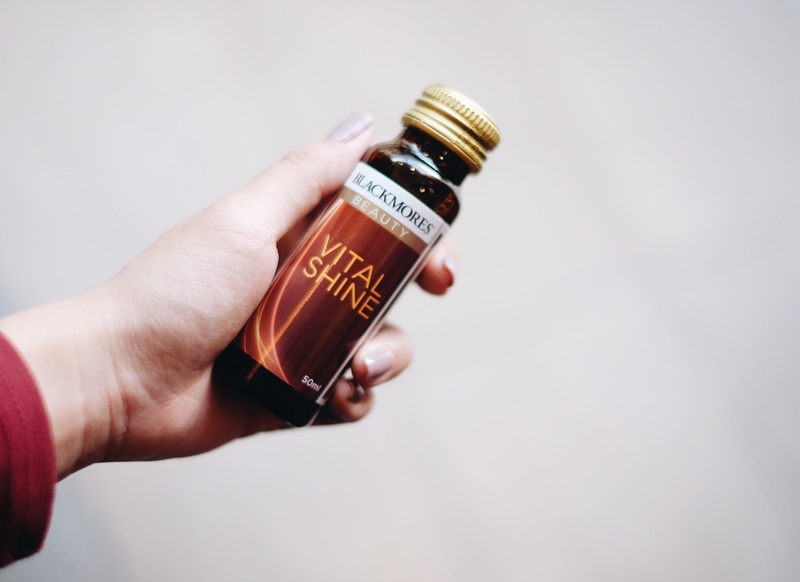 Among the combination of carefully selected nourishing ingredients are- He Shou Wu (Fo-Ti), bamboo shoot extract, millet seed extract, white tea extract and sea buckthorn that helps reduce premature hair greying and build stronger hair from the roots. 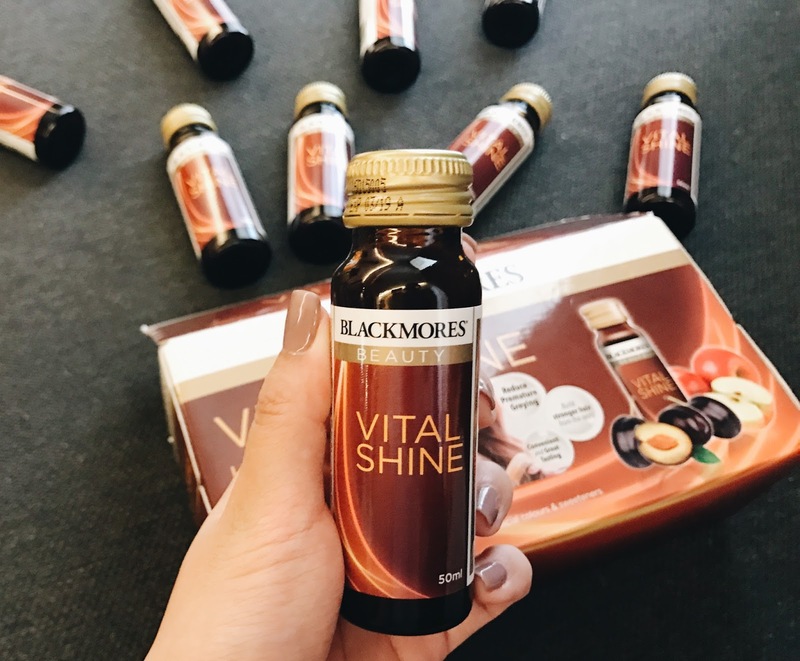 Each box of Blackmores Vital Shine comes with 12 bottles of 50ml goodness, which is a very convenient size to carry around! 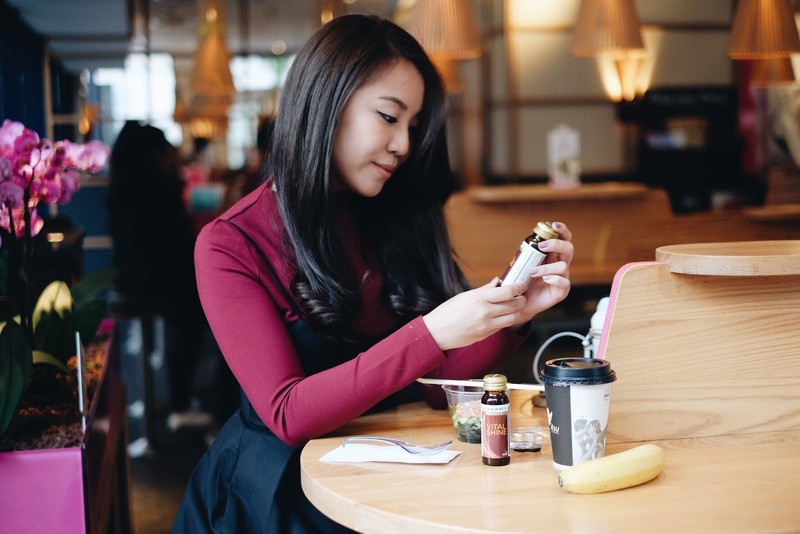 We're encouraged to take a bottle a day for full results, so most of the time I'll just pack a bottle into my handbag and take it before or after my meal. This palm sized bottle of goodness isn't only power-packed with nutrients, it tastes really good too! It's made up of apple and prune extracts (which are two of my favorite fruits!) 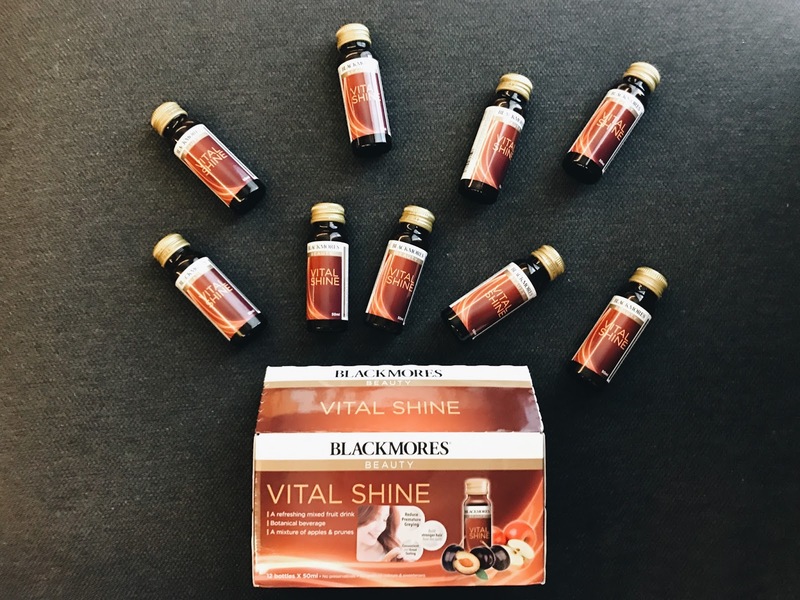 😍 Some of you may be glad to know that Blackmores Vital Shine is certified halal by THIDA (Taiwan Halal Integrity Development Association) which is a halal body recognised by JAKIM, Malaysia! 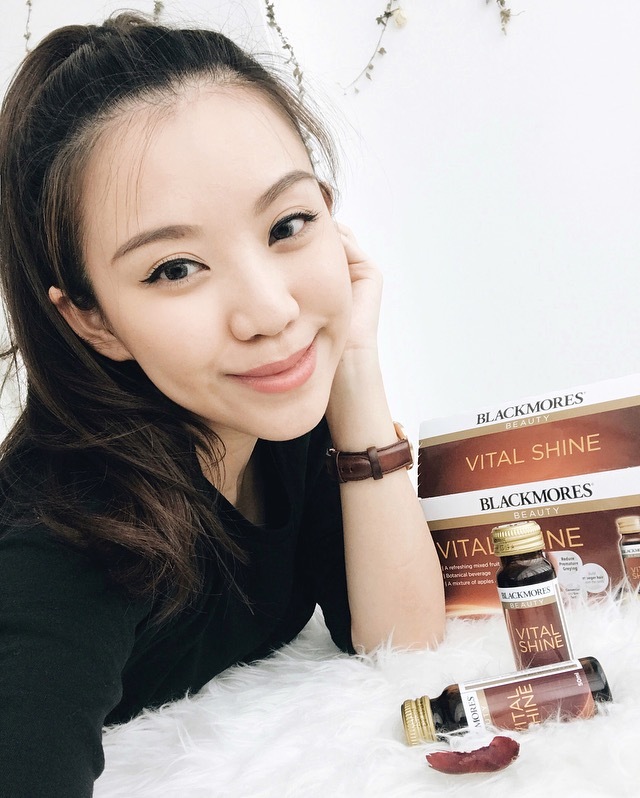 Been consuming Blackmores Vital Shine for about a month now, and apart from enjoying its taste, I'm feeling the positive changes in my hair, especially in the hair falls department. Each time I wash my hair, I will cringe to see the amount of hair that ends up clogging the drain. But these days, I'm seeing less of them so I'm very happy! Hopefully this continues seriously! This post in filed under Lifestyle, Fashion and Beauty, Advertorials.